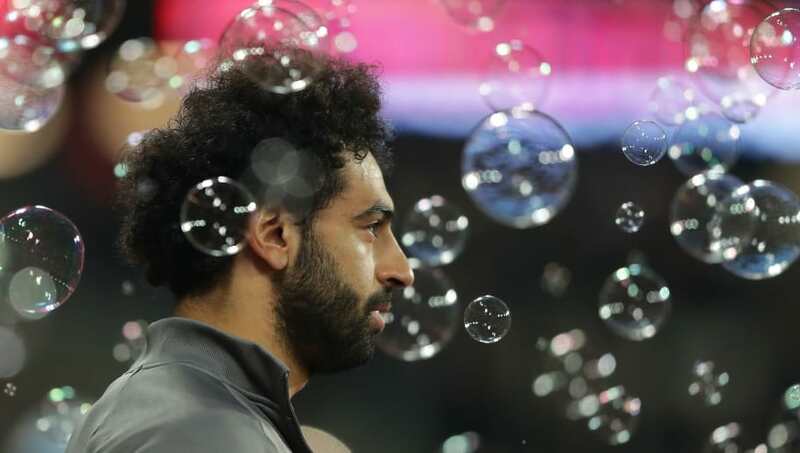 Former Liverpool forward Emile Heskey has stated that he believes the Reds have to win the Premier League this season or risk losing their prized possession: Mohamed Salah. Liverpool drew 1-1 with West Ham United last night, a result that leaves them two points clear atop the league table, but they could drop to second on Wednesday night if Manchester City beat Everton at Goodison Park. The game at the London Stadium saw Liverpool lose a lead for the second time in consecutive matches, thus allowing ​City to close the gap in the race for the title. Despite racking up a host of individual honours, ​Mohamed Salah is yet to win a trophy during his two years at Anfield. Speaking to the Express, the former England international said​: “There's always that risk of players wanting to leave. I'm not saying that Salah wouldn't go, but there is plenty of reason for him to stay. The relationship between the players and the Liverpool fans is such that they always want to give the league another go." The former England international believes the current Liverpool team has a better chance of winning the league than the team that he played in. The 41-year-old, added: “When you look at years gone by Liverpool lost certain games, but they've got a stronger mentality now where they can claim points when they're not particularly playing great. While Heskey thinks Salah is a key player for Liverpool, he also had praise for defender Joe Gomez. "Joe Gomez has been a miss, him and Virgil van Dijk were starting to form a great partnership. Gomez being such a young lad, and having senior pros around him is great," he said. Liverpool play ​Bournemouth at home on Saturday while Manchester City play twice in the next four days.